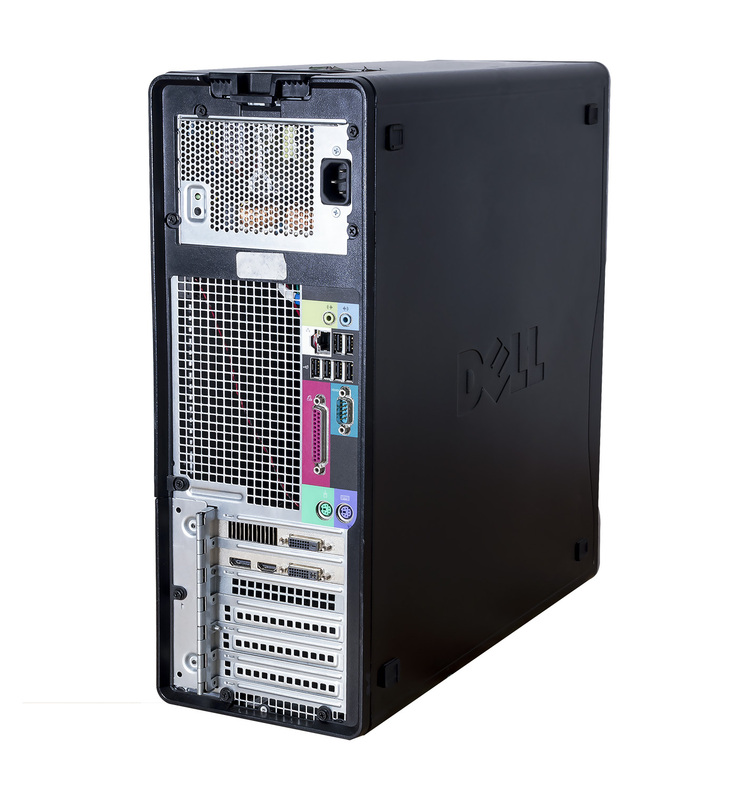 At the core of Dell Precision T3400 workstations is the Intel X38 Express chipset, designed to support the technologies that can open up performance-impacting bottlenecks in primary subsystems. Power users -- and the application providers who support them -- have access to more compute power than the previous generation of single socket workstations, enabling them to create, analyze and design better than ever. 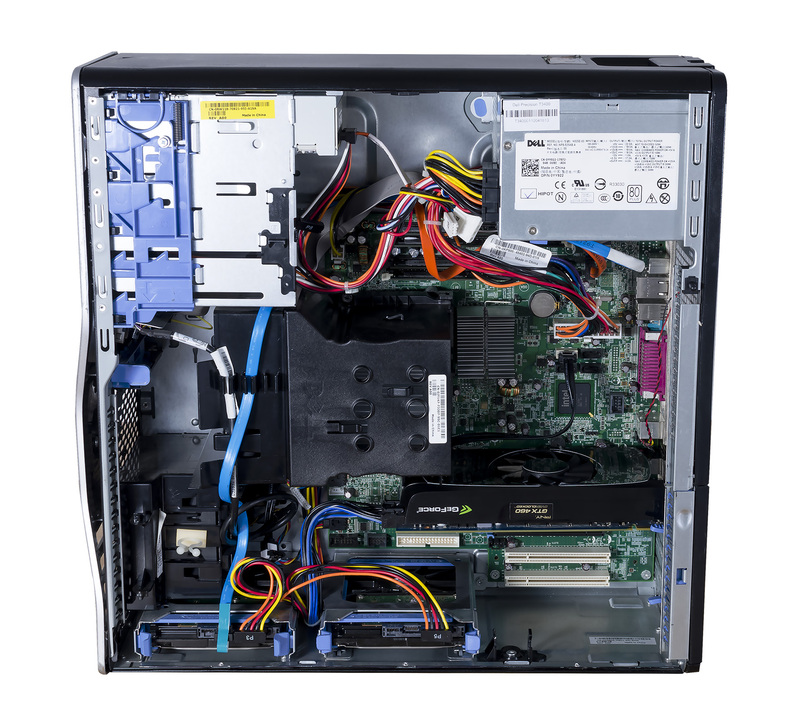 Support for Dual PCI Express x16 graphics cards up to 300 watts and with up to 768MB discrete graphics memory. 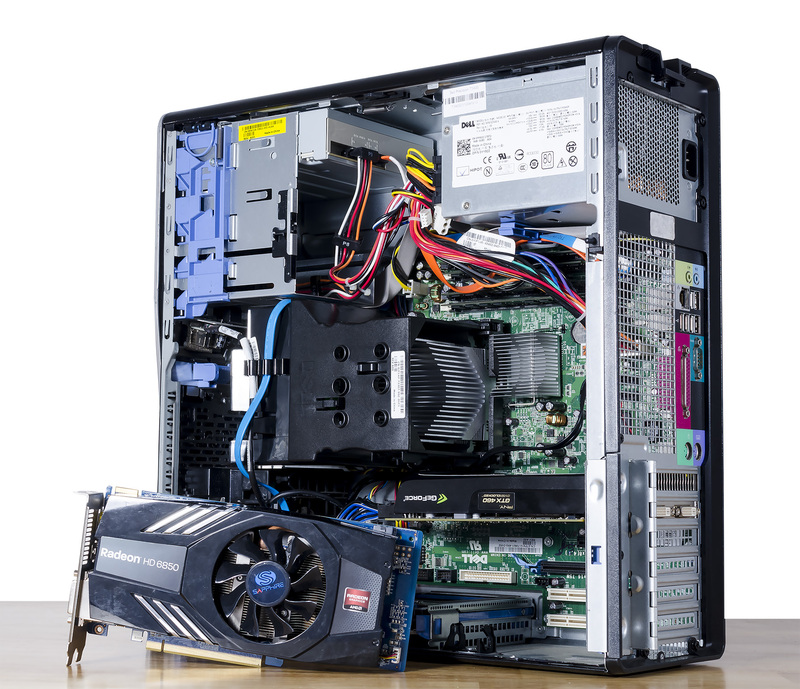 All graphics cards support dual monitor configurations. 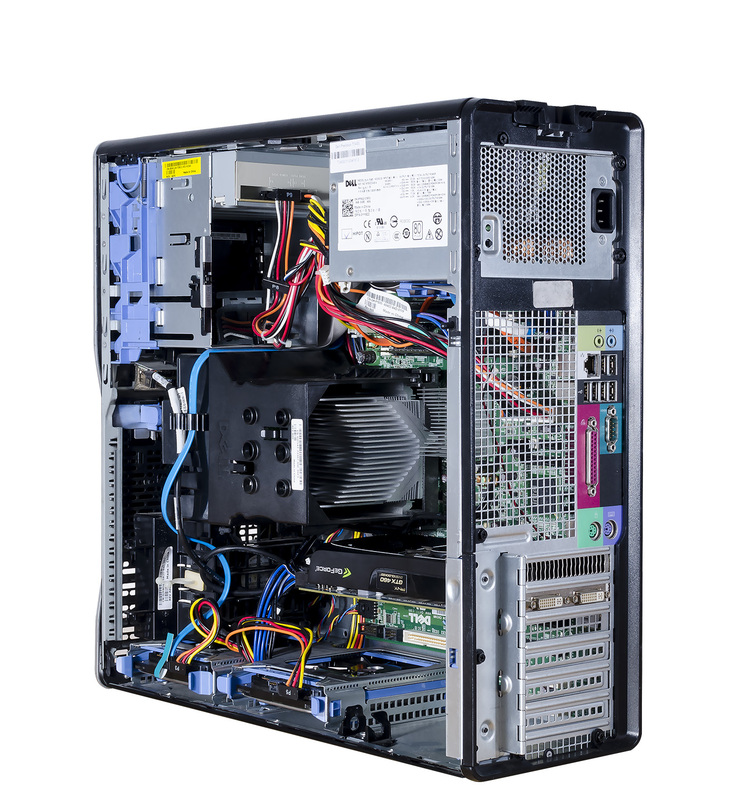 (H x W x D): 17.6" x 6.8" x 18.4"
The system uses a very efficient Active Power Factor Correction (APFC) power supply. 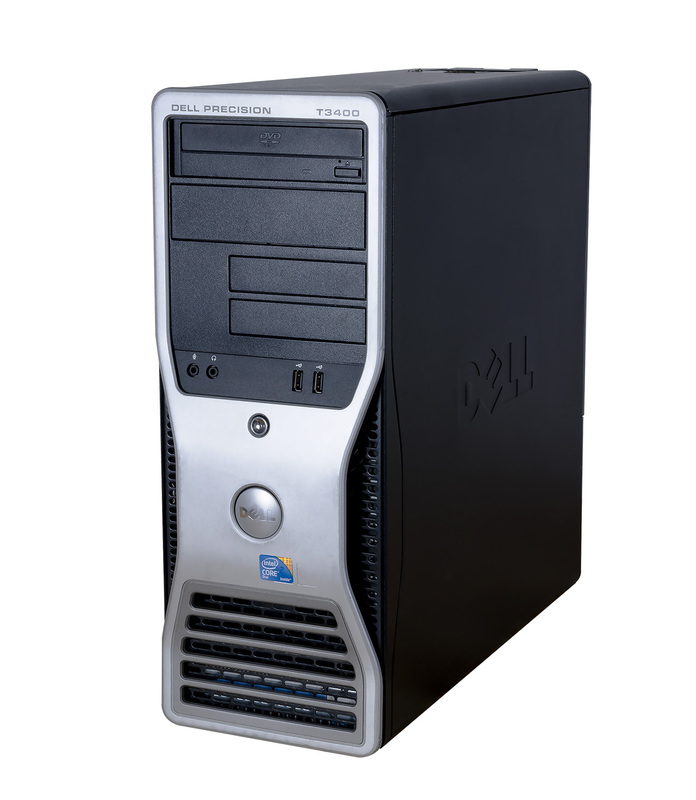 Dell recommends only Universal Power Supplies (UPS) based on Sine Wave output for APFC PSUs, not an approximation of a Sine Wave, Square Wave or quasi-Square Wave (see UPS Technical Specifications). If you have questions, please contact the manufacturer to confirm the output type. ♦ Đĩa cứng : 250GB Sata 7200rpm. ♦ Đĩa cứng : 500GB Sata 7200rpm.